Juho Sarvikas, Chief Product Officer, HMD Global today revealed that the Mysterious Blacked Out Sensor on the new Nokia 9 PureView is the world’s first X-Ray Sensor ever provided in a smartphone. Juho also announced that the new X-Ray capability will be unlocked shortly on the play store with the launch of a new Nokia X-Ray App. Now, just a few hours after Juho announced the new Nokia X-Ray app, it looks like HMD Global is finally ready to bring the new Nokia X-Ray app live on the play store. In a fresh tweet, Juho has now shared the screenshot of the new Nokia X-Ray app Play Store’s live page. 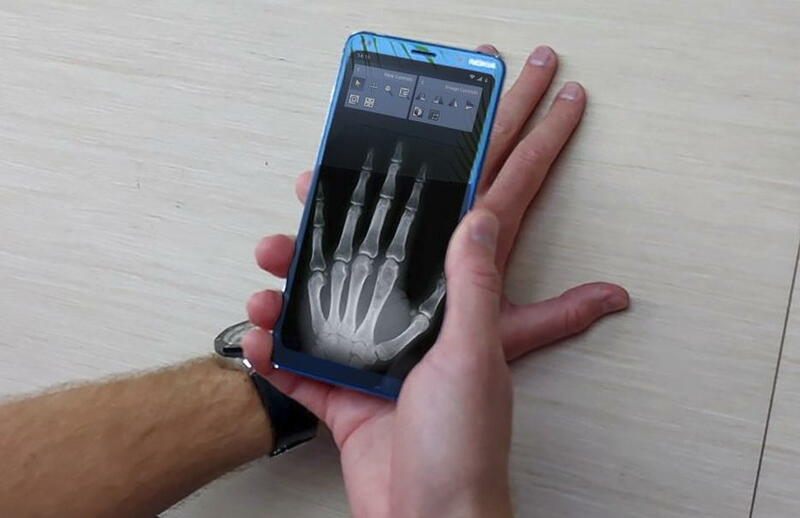 The Play Store description of the new Nokia X-Ray app says that users using the new app will be able to scan limbs and bone fractures in real time and will get turn-by-turn directions with their local hospital. You can check out his latest tweet below.